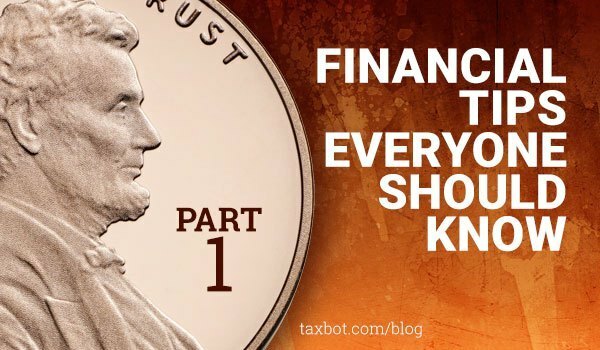 If you’re looking to make a few changes, in regards to your finances, continue reading to discover a few helpful financial tips that everyone needs to know. While it may be tempting to put off paying your monthly bills such as your smartphone bill, your power billl, and your internet bill, if you accidentally miss a payment, you’ll most likely be made to pay a late fee. Which will decrease your disposable income, unnecessarily. So do yourself a favor and set up automatic payments for all of your monthly bills, to ensure that you’ll never have to pay another late fee again! As while individuals can survive on a government pension, the money which you’ll receive as part of a government pension is unlikely to be enough to live as comfortable a lifestyle as you’re probably used to. In order to be able to afford overseas holidays, premium food and trips to the movies, you’ll need to start saving to supplement your retirement pension by putting away a minimum of 10% of your income per month. Although if you have a large disposable income, that’s not currently being put to good use you may want to save 20% of your disposable income towards your retirement fund. As an example, just because a company’s shares have skyrocketed in the past three months, does not guarantee that they will continue to soar in the future. To get a better picture of how a company’s shares may perform, it’s well worth tracking a company’s share price over the past five years. As if a company’s shares have a general upward trend with a few ups and downs, you may want to consider investing a small portion of your monthly disposable income into purchasing some shares in the company in question! Never make the mistake of waiting for a supposed inheritance or relying on another individual such as a spouse to provide for your future as when it comes to finances, the only person you can rely upon is yourself. If you want to transform your finances, start off by implementing the tips listed above.